Find Ramada by Wyndham Kissimmee Gateway deals, discounts and special offers. With 353 rooms, this pet friendly resort is near all of Orlando’s most popular tourist attractions. Built like an old mansion, the Gaylords has an exhibition hall, meeting space, and over 1400 guest rooms and suites. This Mediterranean-style resort features a driving range, spa, and suites and villas with full kitchens. Lucaya Village Resort is a collection of resort town homes, with fully equipped kitchens, clubhouse, sauna and tennis. Located just one mile from Walt Disney World, this resort has over 2,500 1 to 4 bedroom villas, and on-site shopping. The Tuscana has 2 and 3 bedroom condos, a clubhouse, cinema, internet access and free shuttles to Disney. A vacation-ownership resort located on 16 acres, Oak Plantation is in the suburbs of Orlando, with 2 pools. A gated time-share resort, with townhouses and villages, and has its own water adventure. Thirty minutes from Walt Disney World, Lake Marion is on a 3,800 acre lake, with 2 to 4-bedroom villas. Family friendly hotel located close to Disney World offering free transportation to area attractions. 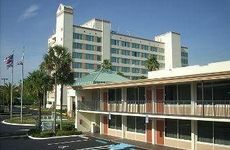 197 room smoke free hotel located just minutes from Walt Disney World. 198 room hotel located near Walt Disney World offering free shuttle service to the park. Fully equipped standard, 1, 2 and 3 bedroom villas to comfortable, convenient Clubhouse suites. 170 room hotel featuring a picnic area with grills, a game room and free shuttles to area attractions.